Dear Jobseekers, we needed the candidates for below demand. Knowledge of NAS and its customer deployment scenarios. Knowledge of FileSystem Services and NAS Protocols. Strong Test Automation with Python coding. Good Knowledge of Testing Process and Methodologies. Having good communication skill and able to work with full ownership of the task. Test Execution and Automation for Scale Out NAS. Good knowledge of operating system. Good knowledge of Distributed File System and Data Protection Features such as Snapshot, File Clone etc. Good in Test Automation using Python. Responsible for developing class diagrams, database diagrams based on existing methodologies and best practices, explain to the team members. Work with and under the directions of the manager/Sr. Developer to develop new modules and enhance existing modules of the product. Provide technical support and work with the implementation team to deploy the product. Strong fundamentals in any J2EE application server / web server. Strong knowledge and hands-on experience in SQL. Strong desire to learn new functional areas and technologies. Design, build and maintain dashboards and visuals using Tableau. Communicating with business users clearly regarding objectives, requirements, design and modifications. Analyze the data, conceptualize, recommend solution options and design report and dashboards. Expertise in designing and presenting data using best practices in data visualization. Experience with connecting and blending multiple data sources. Good DW BI skills. Good communication skills and ability to interact directly with business owners. Strong analytical and critical thinking skills with the ability to derive insights from the data. “Performs moderately complex design, development, testing, documentation, code review and analysis of various software applications to technical specifications, complying with established methodologies. Utilizes creative abilities to enhance existing product lines with new capabilities and features. 4-8 Years of experience in a product development environment. Sound Programming experience using C /C++. Open to work on KCML. Demonstrates strong debugging and problem-solving skills with the ability to work independently. CDK Global (India) Pvt Ltd 4th & 5th Floor, Building # 12B, Raheja Mindspace, Madhapur, Hitech City, Hyderabad, India. Responsible for iCAS SAS, MQ and KMS testing. Configuring and setting up the test environment. Test execution as per the scope. Responsible for System testing for DVBC/S2 platforms. Experience of Manual / Automation Testing for Set Top Box. Should have knowledge in DVB & IPTV domain. Should have knowledge in STLC & SDLC. Experience in test cases creation, test case execution. Experience in Test plan & test report preparation. Should have thorough knowledge on the DTV features in broadcast, connectivity and Audio/Video domain, DVB, MPEG2 TS, IPTV. Good Knowledge on middleware features Reminders, EPG, Subtitles, Channel find & interactive features like DLNA, VOD, Media player. Test case development and execution, defect tracking, reporting and analysis. Understanding of testing methodologies and QA process. If you’re looking for job change and interested for this opening, Please revert with your updated resume. Hand on experience with Web service testing (Soap/Rest). Web service testing using the tool SOAPUI. Should have experience on Automation Testing. Experience in Agile – Scrum. Banking domain knowledge is a must. Good to have worked on Test management tools – Jira and ALM Customer interaction. Should have experience in Banking & Financial Domain (Good to have). Dimension are looking for a highly motivated and enthusiastic Quality Assurance/Testing in Electronics Products, Having Two Year Experience in this filed. Excellent knowledge of computers along with Word, Excel, PowerPoint and other software is the must. Knowledge of hardware and software. Experience in a Testing/Quality measure all over Electronics products. NTT DATA Services currently seeks a Java Developer to join our team in Bangalore, Karnātaka (IN-KA), India (IN). 3-5 years of experience in Core Java/J2EE. Should be able to interact with multiple project stakeholders. NTT DATA Services currently seeks a RPA Developer to join our team in Bangalore, Karnātaka (IN-KA), India (IN). Working in an RPA tool- Automation Anywhere to design, develop and deploy automation to clients globally in collaboration with teams as an individual contributor. Support project lead in the creation and ongoing refinement of an appropriately tailored RPA solution that provides the optimum platform for rapid and repeatable delivery of automated processes. Drive the strategic and tactical roll-out of the RPA solution to clients by creating and documenting test procedures and scenarios for the pre-UAT phases and supporting the Operational Teams during the UAT and rollout phases. Support existing processes and implementing change requirements as part of a structured change control process as well as problem-solving issues that arise in day to day running of RPA processes and providing timely responses and solutions as required. Work closely with the seniors and implement technical solutions meeting business requirements. Liaise with senior technical staff to explore and suggest strategic technical solutions. Take responsibility for the comprehensive unit and functional test coverage to ensure code quality. Should be good in Core Java, spring and Hibernate. Strong in communication (member will be working from client location we need to make. Assignment description: Automobile company is looking for an Application Developer Senior to Common Services. Client is developing backend systems in Java for Telematics using Amazon Web Services. Strong in Java 1.8; Spring Boot; Hibernate & REST Web Services. We are looking for talented individuals to join the group to work on System Software. The System Software team focuses on creating system software for our embedded systems, validating systems in pre-silicon and post-silicon stages, and driving bugs to resolution together with other teams. 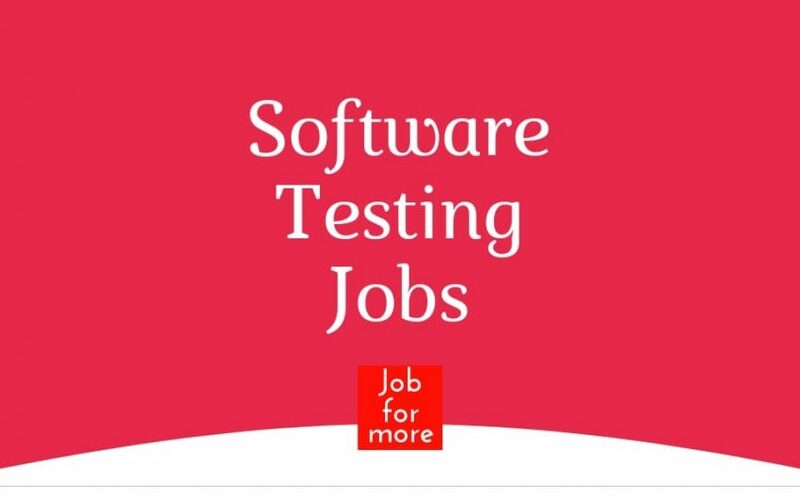 A Software Development Engineer in Test [SDET] at McAfee is a developer with the primary responsibility of effective assurance of product quality through white-box as well as black box testing, Smart Test Driven Development, test automation, code inspections, peer reviews, and other forms of engineering excellence. As an SDET you can analyze business requirements and scenarios and translate them into robust design, code and tests. Knowledge experience of continuous integration methods. Experience of operating systems i.e. Android, IOS, Windows and Linux. Good teamwork and communication skills, both oral and written, and the ability to collaborate with internal and external parties. Excellent understanding of system level testing, functional, performance, regression, acceptance testing and the SDLC process. Experience in creating QA Test plans in partnership with engineering team and project stakeholders. Responsible for those functions, activities, and skills required for analysis, design, coding, integration, test & maintenance of software modules, subsystems or systems which control other electrical, mechanical, electronic or network systems. Looking for MBA 2017 & 2018 pass out. Works effectively individually but also can collaborate with the company and with customer team members toward customer satisfaction and success.